Hello everyone! 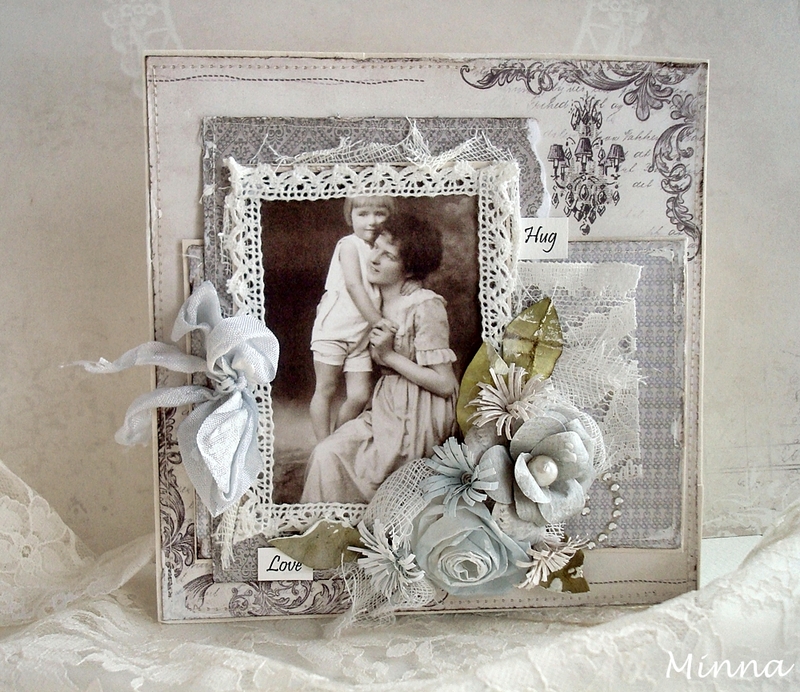 Today I want to show you a vintage card which I made using the Alma’s Sewing Room papers. The beautiful mother-child image is from Grandma’s Attic- Love. For the first time I have made the flowers myself using some papers from the Studio of Memories collection. This card is so beautiful ….I love all the details !! !